I hope this isn't going to ruffle anyone's feathers but I was wondering if anyone who has built a TG clone could let me know how it sounds. Now, I haven't heard an original EMI unit, or one of the new Chandler ones. I've only heard the VST plugin, which is damned good for a plugin. But I can't help noticing that the controls seem different on the clone to both the original (which lacks HPF, input and attack) and the Chandler version (which lacks HPF, hold, and attack). So I'm wondering whether it's worth spending 200E on a case and board, which might not produce the effect I'm looking for. The Chandler versions transformer steps up on the front end that drives the limiter, but has become a mix classic in it's own right. The EMI console version is way more subtle. I have used chandler pre's and comp, and also an original TG on several occasions. Chandler is really good stuff, but just doesn't quite have the mojo imho. I think that the mixbus is also critical to "that" sound, but trannies must surely be crucial too. I also love the crude but effective TG eq! I thought that some GArdners transformer stuff featured, but I could be wrong. They come up from time to time, and iirc, someone has the blueprints. If you can build something that sounds at least as good as the chandler stuff, you wont be wasting your time, even of it doesn't quite measure up. Anyway, the chance of you actually finding an original to compare is rather low to say the least . . .
Ouch! that's some weight of iron. Did you see if Grdners were on input, or am `i mistaken? What are the EMI part numbers? The inputs look like Gardners in form, they've now been taken over buy Greenwoods who still wind some replacements to original specs..the output has different studs on the top board (to the one pictured with the Carnhill for scale), but it's actually the same number, although the issue number differs to the console outputs. do you mean that Greenwoods have taken over gardners transformer production, or EMI transformer production? i thought the original was transformerless ? in the context of the console it is, but surrounded by iron, input, insert send and return. The transfer console version is slightly different and has remote iron. I think the idea is the mojo is more in the oversized trafos, rather than the circuit. Really we don't know too much about anything EMI related! heheh but for me that makes it way more fun than Neve! Can anyone get their hands on the iron for CJ to decipher perhaps? I saw one on ebay about a month ago. almost grabbed it so it could be dissected. not sure how this relates, but avon magnetics in the uk has most of the gardners units on file. 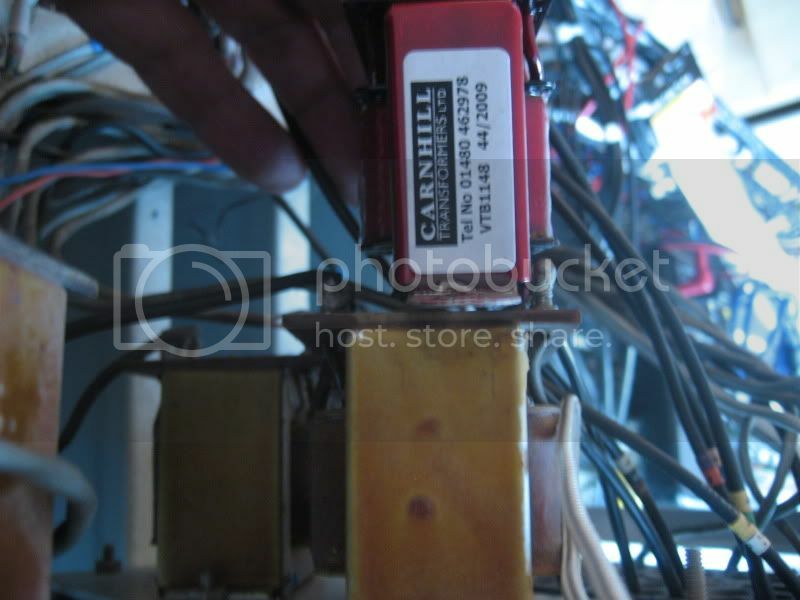 i remember asking them for a quote on some of the large octal can transformers many years ago and they were >100GBP each. Greenwoods is a dead end, Peter (sinestaraudio) just gave them a ring, and they don't Audio trafos, they took over Gardners M.O.D work. Huh. And here I was thinking I would build it without trannies. Would it not make sense to build this thing without trannies then? Er, maybe it's a matter of semantics, but "vibe" and "character" from this circuit I would expect from only the iron. My understanding is that with no iron, the limiter is more subtle than with. I would think the vibe and character have most to do with the circuit as a whole...rather than seperate parts. One vs the other, maybe transformers contribute in some way more. Distortion? 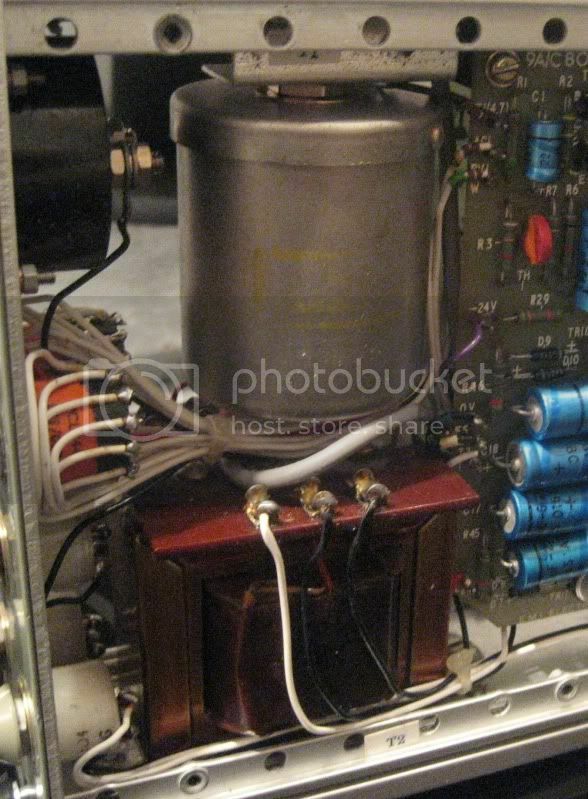 The pictures i've seen of the TG 12413, there are no transformers in the module, but yes, they would be proceeded and followed with iron in the desk(i'm assuming)...so it's fair to assume there were transformers involved. As for which is better, i would think whichever way agree's with the overall design concept.